Many online marketing account managers and experts are on the fence in terms of whether microsites are an appropriate or effective way of supplementing the existing content on a company’s main web site, and for good reason. While microsites certainly have a lot of merits in certain aspects and under very specific circumstances, they also have quite a few pitfalls that can be harmful to your existing search engine optimization (SEO) strategy. The usefulness and success of any microsite ultimately depends on the intent of the marketer in creating one and how well the site is actually managed. There are numerous different factors to take into consideration when deciding whether or not to launch a microsite and in some cases, the benefits are plentiful whereas in other instances, you could very well be digging your own virtual grave, so to speak. What Are Microsites and Why Are They Launched? By definition, microsites are essentially miniature web sites that are especially designed to focus on one aspect of a company’s online marketing strategy, brand recognition platform, or conceptual development. While the main web site features all sorts of information about the company and the brand, microsites have a singular, primary focus or aspect of the company’s branding. This could be advertising the launch of a new product, introducing a new subsidiary that’s a separate entity from the parent company, or announcing the opening of a new store location. 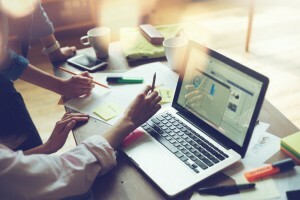 Businesses often set up microsites in order to try to find new and innovative ways to keep their customers engaged, pique their interest, and obtain their loyalty. Ultimately, the goal is to increase the company’s rankings on search engine result pages, but unfortunately, this isn’t the best way to achieve that objective. As mentioned, microsites can be useful under certain circumstances, such as trying to build greater brand awareness and targeting a specific demographic with a product launch. Another arena in which microsites are beneficial is if you’re simply trying to boost your brand awareness and customer loyalty by offering special deals to existing site members or trying to attract new subscribers. As long as you know what you’re doing, microsites could actually propel your online presence to new heights. Google penalizes companies for purportedly duplicating content. Before Google implemented the “Penguin” update, it was possible for companies to simply take content from their main web sites and incorporate into their microsite marketing campaigns. After the update, however, Google has been cracking down hard on companies who try to create duplicate content rather than unique content. Aside from the fact that it’s very deceiving to online customers and considered unethical, it just demonstrates poor business practices. Microsite marketing requires more time, effort, and resources for minimal to possibly no pay-off. Think about all of the time, effort, and resources you put into and continue to invest in building, updating, and simply maintaining your main business web site. Now consider the fact that you’ll have to put all of that same time, effort, and money into building a web site with half the caliber and staying power with a lower success rate. The fact is that building a good microsite and web site landing page for it will eat up a great deal of your resources and finances that could go into other aspects of your business. For instance, rather than dividing your focus amongst numerous web sites and trying to come up with multiple SEO strategies to make them all successful, it would make more sense to put all of your eggs in one basket and focus on making your main web site a success. Cross-domain tracking means your content will be spread way too thin. Some companies have made the mistake of creating multiple microsites with direct or focused objectives, which is great if your goal is to temporarily spotlight a very specific aspect of your company or online marketing campaign. However, it can be problematic if the information you’re displaying is too broad to fill up an appropriate amount of space on a microsite. Since each microsite builder only allows for a limited amount of information to be featured on the site, this strategy dictates that you must create a new microsite for every type of content your company produces. You might think that one way to get around this problem is to create links that can easily transfer your customers or site visitors to the page that contains the content they were originally searching for, but this will only result in a lot of confusion and frustration, causing a high bounce rate. Microsites aren’t mobile-friendly. Nowadays, it’s pretty evident that the convenience of online mobile usage has vastly surpassed that of desktops and even tablets. The reality is that most people are always on the go and rarely have enough time to search for things on their personal computers. This doesn’t bode too well for microsites, considering they’re typically created in HTTP formatting and then converted into HTTPS, none of which work properly on mobile devices. Creating a microsite is typically more expensive than maintaining your main company web site. There are a number of reasons why this is the case. Microsites are designed to be supplementary to your main web site, which means you’re now responsible for paying domain fees and updates for multiple web sites all at once. On top of that, your click-through rates and return on investment could also take a huge hit as a result of the number of clicks (or lack thereof) all of your sites will experience. Microsites usually result in negative user experiences. Having multiple site domains affiliated with your company online could cause a lot of confusion for your customers. If they click on a link from your microsite expecting to be directed to a page that contains the content or information they’re looking for, but are instead directed to the main landing page on your web site, they could very easily become frustrated and leave. It may even deter them from ever visiting your site again and ultimately from doing business with your company. 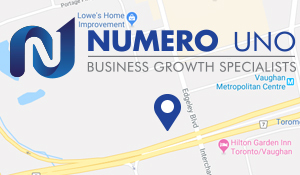 Numero Uno Web Solutions is a Canadian-based SEO marketing company that concentrates on helping companies establish and maintain a strong online presence through tried and true SEO practices. With a wide range of national and international clientele, we pride ourselves on being one of the top SEO marketing firms in Canada. Contact us today to learn how we can help improve your company’s online marketing strategies.